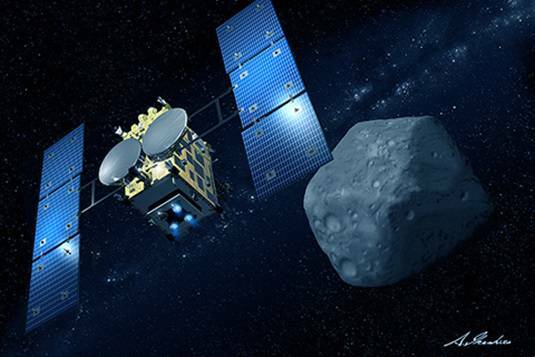 Japan's space agency JAXA has called off the launch of its Hayabusa2 asteroid-mining mission. The plan is to send a probe to a far-flung space rock, blast a hole in it, grab some material, and return it to Earth. However, bad weather on our home world this week has delayed the launch of the gutsy expedition to sometime next month. "The launch of the H-IIA Launch Vehicle No. 26 (H-IIA F26) with the Asteroid Explorer 'Hayabusa2' onboard has been rescheduled as clouds including a freezing layer that exceeds the restrictions for suitable weather are forecast to be generated at around the scheduled launch time on November 30, 2014," JAXA said in a statement. Don't worry – this isn't an Armageddon-style affair starring Bruce Willis. 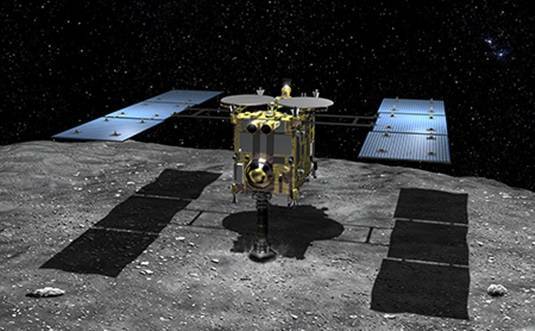 The Hayabusa2 mission is Japan's second shot at getting pieces of an asteroid back to Earth. If all goes to plan, the space probe will lift off next month and fly out to asteroid 1999JU3 by mid-2018 using ion engines. The craft will orbit the rock before dropping a bomb onto the surface. The resulting blast should leave a hole the asteroid. The probe will then land and dig around in the rubble for material from below the surface using a "sampler horn". The probe will then take off again and head for home carrying its booty, and is due to return in 2020 or slightly later. The mission is a rerun of JAXA's first Hayabusa, which launched in 2003. That mission was beset with technical difficulties and, when it reached the target asteroid, it's thought the firing mechanism – which was supposed to break the surface of the rock with ball bearings – failed to work. On its way back, the probe's chemical engines were crippled by a fuel leak and the craft had to rely on its ion thrusters to make slow progress. It landed in 2010, but the only samples recovered were a tiny amount of dust.